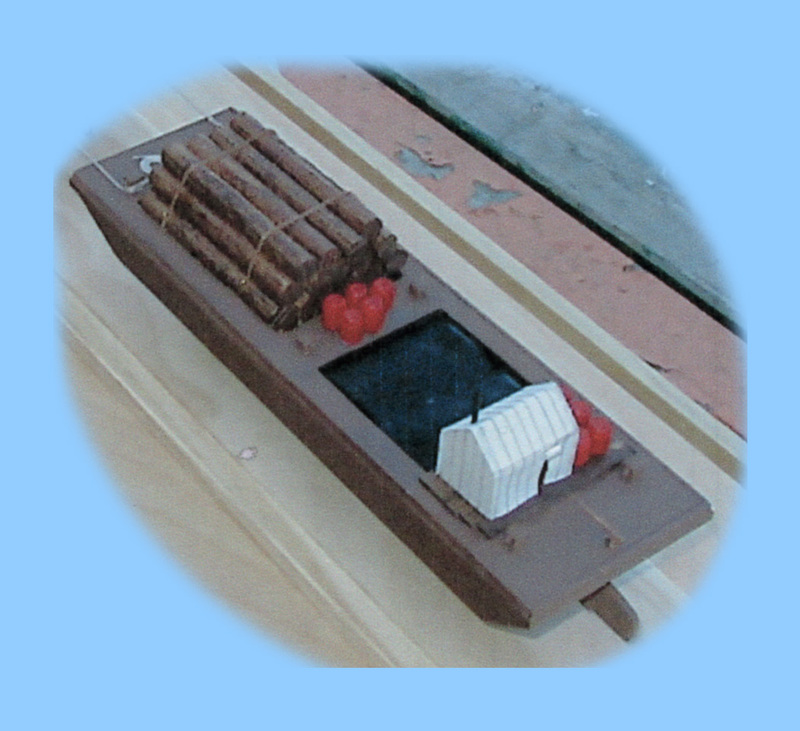 We invite you to browse our Gallery Pages to see examples of the Ship Modeler's Art. Please note that Steffke has been model-making for many years, but has rarely bothered to photograph his work, until recently. Some photos show models in different stages of construction, completion and finish. Further, many photos are of varying quality due to the age and capabilities of the camera at that time. Each model is described as to its intended quality, based on what was commissioned, style represented, price range and other client requirements. We have tried to include our most recent works as the first models shown, on the first page. Steffke's habit is to make his models in pairs, one for the commissioning client and another for future sale or display. Some of the better known and famous vessels may be available for immediate sale. Please contact him with your specific requests. Older works and those of a different nature, such as machinery or dioramas, are to be found in the last gallery. 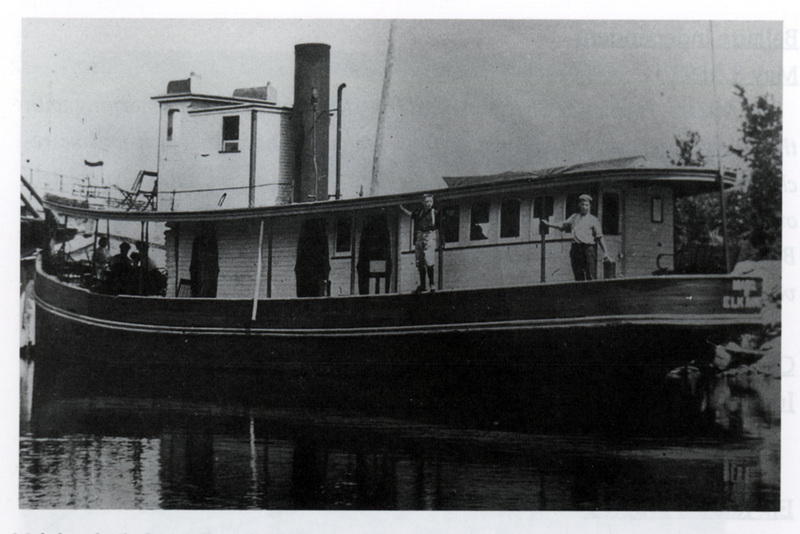 The First Steel Steamship in America, the Tug "Sport" built by the Wyandotte Iron Ship Building Works as hull No. 3. After the first experimental steel ingots were cast by the Eureka Iron Works in the fall of 1864, they were found to be of uneven quality and were simply allowed to rust away in the foundry's mill yard. Even though they were nearly 10 years old, however, Ward believed that Kirby would be able to roll enough hull plates out of the ingots to fashion a ship. 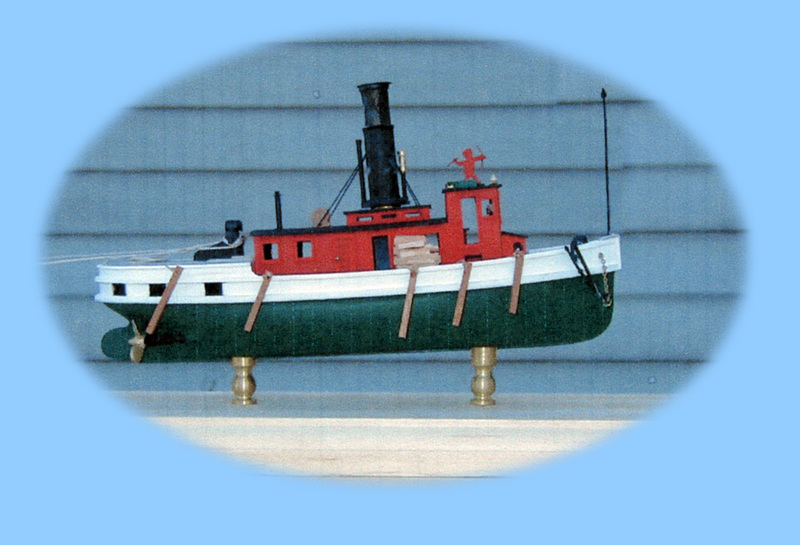 The completed result was the jaunty little harbor tug "Sport" - the first vessel in North America made of Bessemer steel when she was launched in the Spring of 1873. The remainder of the historic steel ingots were rolled out and sold by Kirby (with Ward's permission) to the Detroit Safe Company. This sale allowed he & his brother to have a small amount of capital of their own, to invest; it would be very useful as the Depression of 1873 set in. 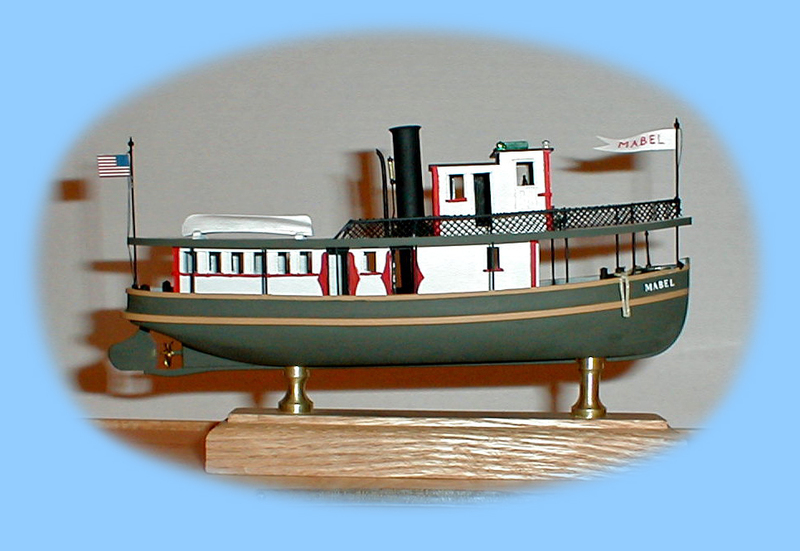 The "Sport" was originally designed to serve as a small harbor tug. 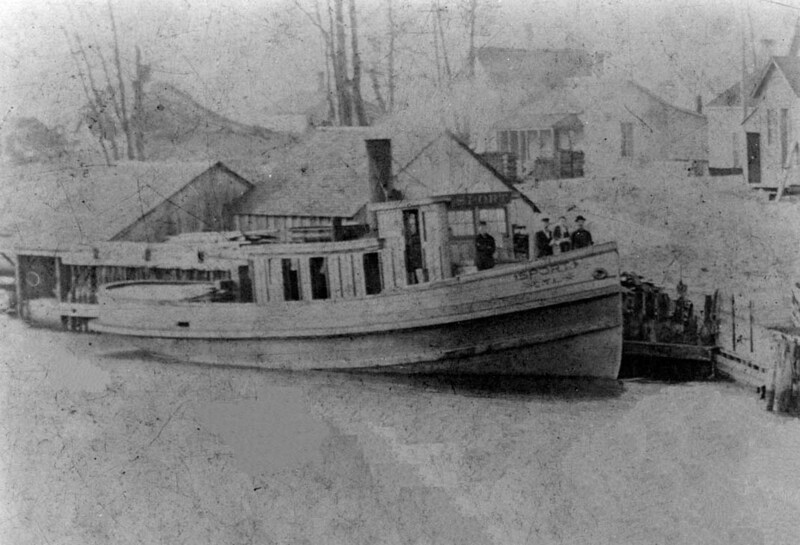 She was to take the intended large iron tow barges brought down by the "Argenta", and the "Sport" would then ease the ore-laden barges back and forth, alongside the mill yard, for unloading (a process that could take days), while the "Argenta" would quickly return to Detroit for re-provisioning and another trip north. Since the barges never came to fruition, the "Sport" found whatever towing, salvage & other marine work she could. Bringing vessels safely across the St. Clair river "Flats" delta proved very profitable for the shallow draft, yet powerful, tug. 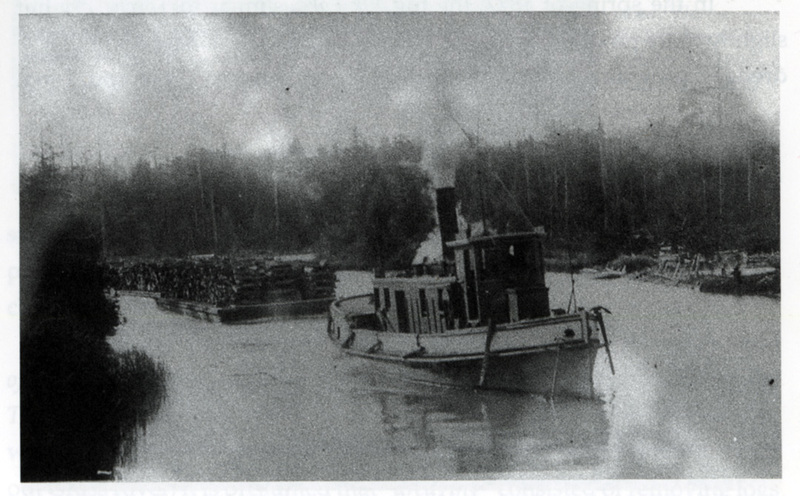 By the time of Ward death, she was assigned to Ludington, Michigan and helped bring in lumber barges to Ward's saw-mills located there, and even towed some large log rafts to as far as Chicago - quite an undertaking for such a small vessel. With her deck cabins rebuilt a number of times over the years, she was finally sold by the Cartier Lumber Company - the firm that bought her from Ward estate trustees. After a succession of Lake Michigan based owners, the "Sport" was sold for the final time in 1913. This time to Captain Robert R. Thompson of Port Huron, Michigan. 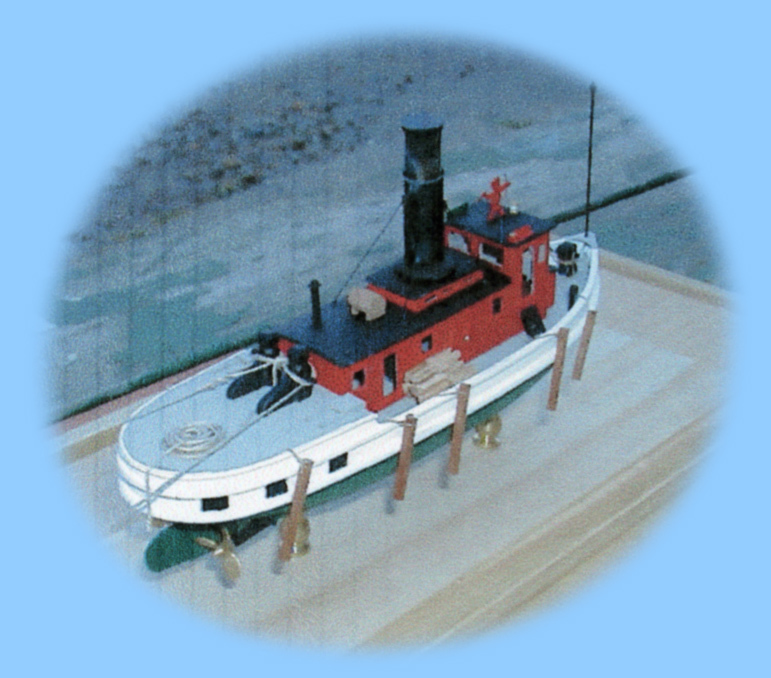 Here she would serve as that city's first Fire Tug, and engage in general harbor duties. Her most profitable ventures would be bringing long lines of former sailing vessels (as many as five at a time), that had been cut down to lowly tow barges, through the St. Clair and Detroit River to various lumber and iron mills for unloading. 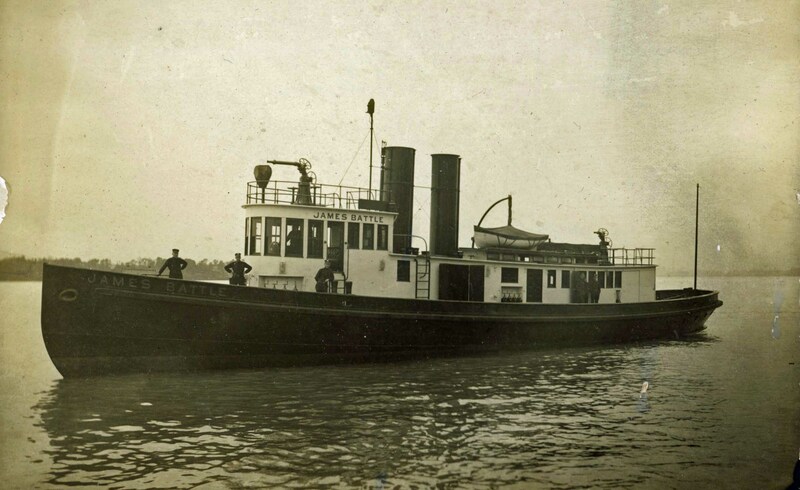 The historic little tug finally met her end during a gale on Lake Huron December 13, 1920. A sea-sick fire hand abandoned his post and let the boiler fire go out and the vessel quickly lost steam. The crew was able to take refuge in her single life boat and all made it to shore near Lexington, Michigan. She finally settled on the bottom of Lake Huron in about 45 feet of water, a few miles off Lexington. The "Sport" lay there until discovered 67 years later, in 1987, by commercial divers. 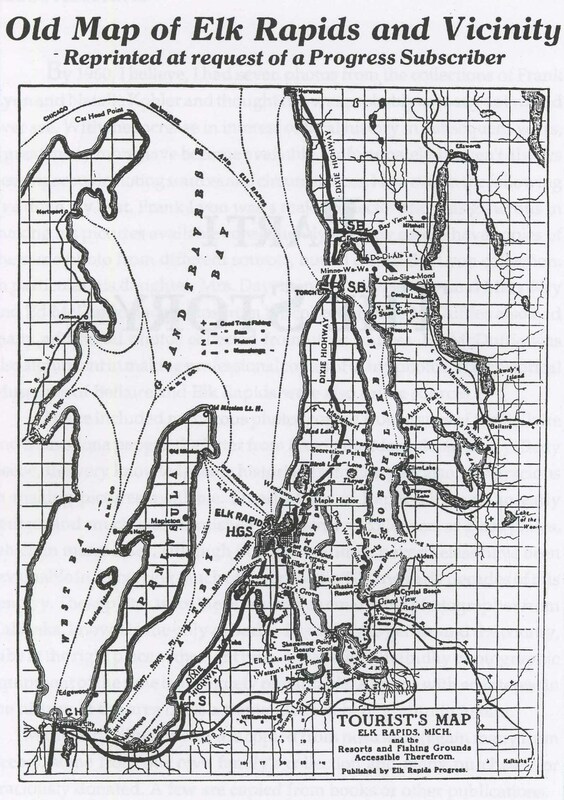 Due to her historic nature, the State of Michigan designated her as its first "underwater" historic site. Today she serves as a heavily visited dive site and is probably the largest and most significant artifact that remains of the former Wyandotte Iron Ship Building Works. The Ship The fire tug, the "James Battle" built in Wyandotte, Michigan, hull no. 137, by the Detroit Shipbuilding Company in 1900. 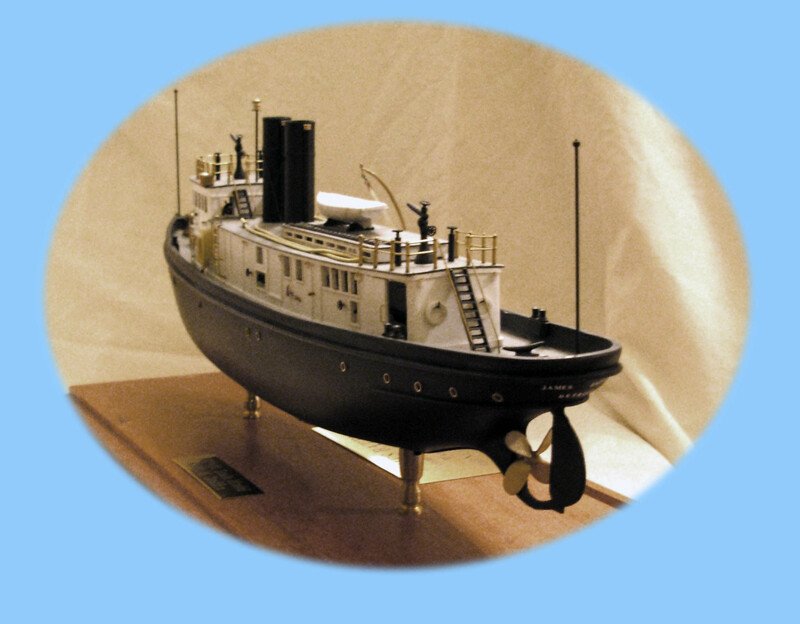 The Fire Commission of the City of Detroit ordered the steel-hulled steam fire tug "James Battle" late in 1899 from famed naval architect Frank E. Kirby. Designed with massive "monitor" hose stations and huge pumping capabilities, she was destined to be a Detroit waterfront landmark for many years. One of her most noted feats was when she tried to save the old, wooden bridge to Belle Isle, which went up in flames in April of 1915. She was stationed to be ready at a moments notice, should a warehouse or shipboard fire occur anywhere along the Detroit River. Sold to Canadian owners just before World War II, she was converted to a diesel towing and wrecking tug & worked out of Montreal. The "Battle" was finally scrapped in the late 1990's � just short of her hundredth birthday. 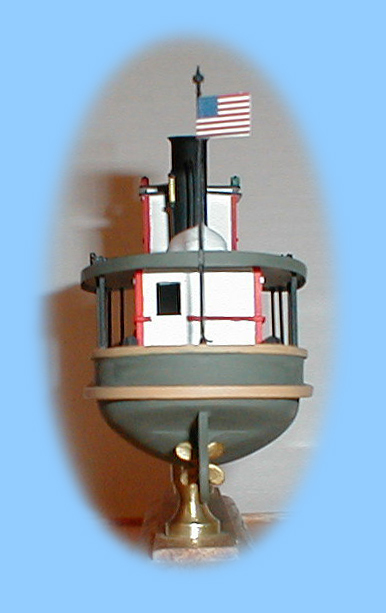 Top view of the "James Battle" The Model - This 1/8" scale model shows the "James Battle" as she was designed, when launched on October 13, 1900 at Wyandotte. 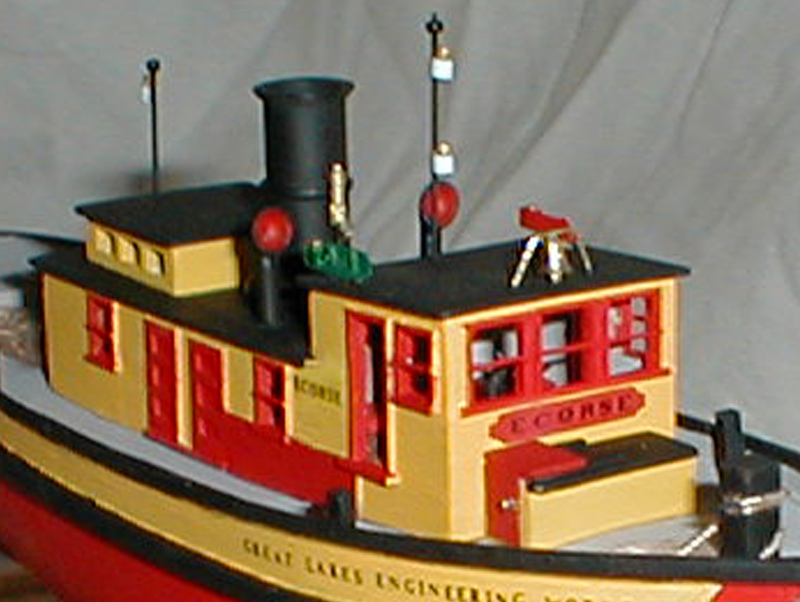 The Ship The tug "ECORSE" was built by the Great Lakes Engineering Works in Ecorse, Michigan, as hull No. 55 in 1908. 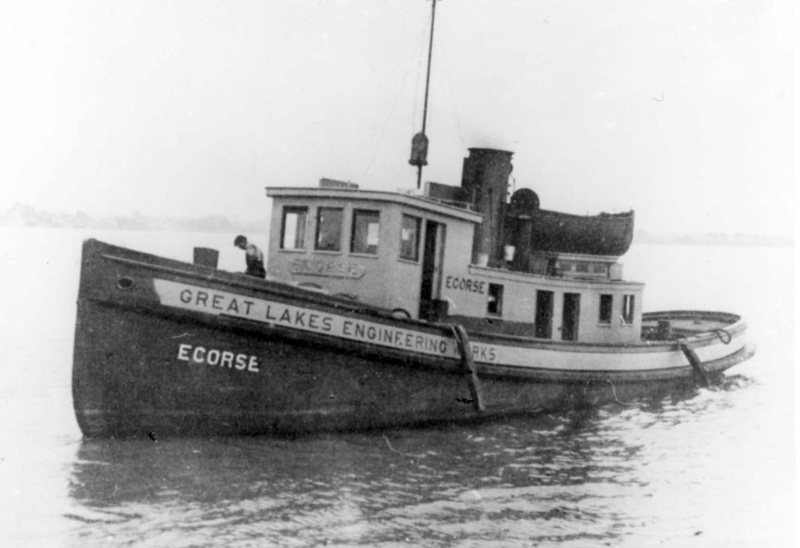 The small (60 foot keel length) steam tug "ECORSE" was built by G.L.E.W. to serve as the shipbuilding company's own "tender" tug, taking vessels in and out of their massive floating dry dock, towing newly launched ships to the fit-out docks, and other general work around the shipyard. The "ECORSE" was the only vessel built by this firm as a "composite" hull - her frames were steel but she was planked in white oak. Though she only had a second-hand engine, and had to be replanked periodically, the plucky little "steaming tomato" as she was known (nicked named by the men due to her color scheme) and served the shipbuilding company until she was scrapped in 1941 due to old age. 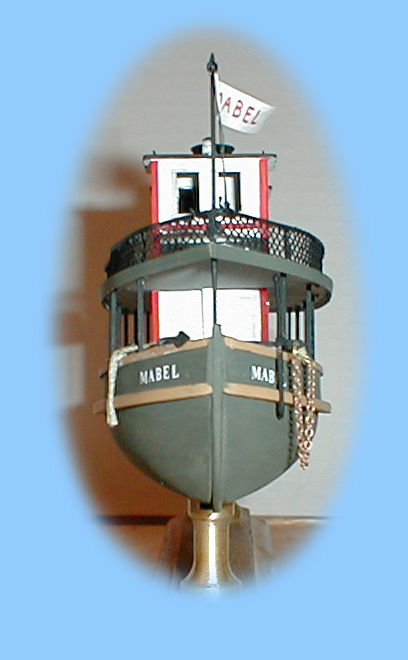 View of the pilot house The Model - This 1/8" scale model of the "ECORSE" shows her as designed by G.L.E.W. naval architects as she looked when launched in 1908. Still under construction check back soon! All Content Copyright © 2007-2016 Keith M. Steffke. All Rights Reserved. Reproduction of any photographs and/or text materials is strictly prohibited without written permission.